impressions on the ERSKY9X Hardware & Firmware. Here is the Rev B1 version of the ERSKY9x board. when using 3S lipos . It is designed to replace the main control board in the 9x radio. It runs a new version of the ER9x and Open9x software. 4Mb SPI EEPROM for model storage. So there is room for around 40 models , before using the Mini SD card. and 3/4Watt audio amp , with 8 ohm speaker and headphone jack output. 2.5mm stereo jack for external access of COM ports. 3.5mm headphone jack , with auto speaker cutoff. High speed Micro SD card socket , for model and sound storage , telemetry logging? Third Serial Com Port , for RN-42 Bluetooth module hookup. External input for Rotary encoder. ATtiny167 AVR Co-processor - provides 12 inputs/outputs. For example ... 4 more A/D channels , 2 rotary encoders and Two , 3 way switches. Can also be set up to act as RTC (Real Time Clock) with battery backup. Current sensor monitors current draw from the battery , and stores Battery usage. The Board will sell for $95 and come with a small 8 ohm speaker and wire harness. it keeps being upgraded just like the firmware giving it endless possibilities. Looks cool -- how come you stuck with a linear regulator instead of a switched-mode one? Is it a low-dropout reg -- so that a 2S LiFePO4 battery can be used -- that'd be really nice. Good question Professor Bruce i will ask the builders, the guys from 9xForumz. Here is the user final product link, it comes with a 5V regulator. Re: Why a linear regulator? Yes, it is uses Low dropout 3.3V Linear regulator. These cost between $5 and $15 each and still there was no drop in part available. Also because of noise , you would need to use a 5V switching regulator , and feed it to the 3.3V linear regulator. Rev B1?!?!? I still have the original beta board sitting somewhere on the bench... I've just not had time to install it yet...<sigh>. kaptain_zero wrote: Rev B1?!?!? I still have the original beta board sitting somewhere on the bench... I've just not had time to install it yet...<sigh>. The Rev B1 is the Beta board (Beta 1!). There was an early prototype board, but only 5 were made. All other boards are the B1. josheppaul wrote: I am working in electrical project and I have daily seen these kind of circuit board. 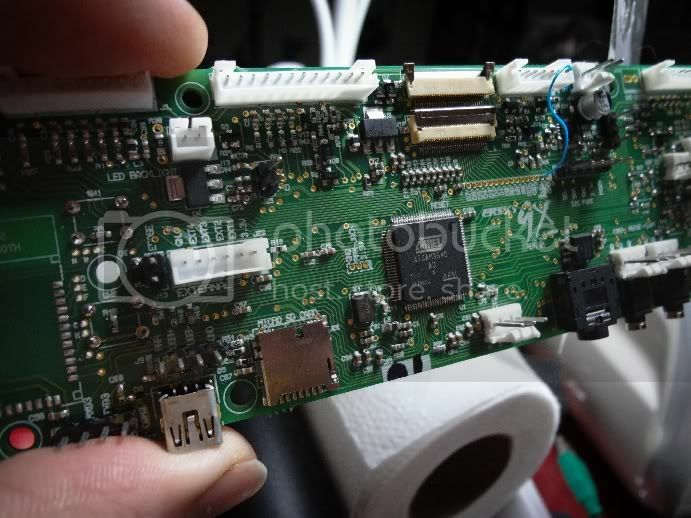 I am little confused to understood that because it is looking different, so would you like to say me that what kind of stuffs circuit board that is? It is an important to know for me. This board is VERY much more powerful than the stock board, but it is taking time to program all the wonderful things it can do. I designed (along with Mikeb) the ERSKY9x board. Re: "Is it a low-dropout reg -- so that a 2S LiFePO4 battery can be used -- that'd be really nice"
would be good for it , but some of the RF modules want about 5.6 to 6V to be happy. The 2S Life would be ideal I think ....they are 6.6V ? I stand.... OK, sit.... corrected. Sorry, I've had precious little time to follow the development of this board, and even less time to dedicate to installing it. The circuit board is made of 1oz copper ,FR1 material , and Gold platted for a level finish. Ok!! I want one!! Do you take kids on trade When will it be ready forsale?